First bred by Jordan of the Islands, Cactus is an indica cross between Afghani and Northern Lights and is named after its vague resemblance to the pear cactus. Cactus buds are conic with knobby formations and emit an organic earthy aroma with citrus notes. This indica is an adept painkiller, providing relief to aches and sore muscles as well as spasms and anxiety. 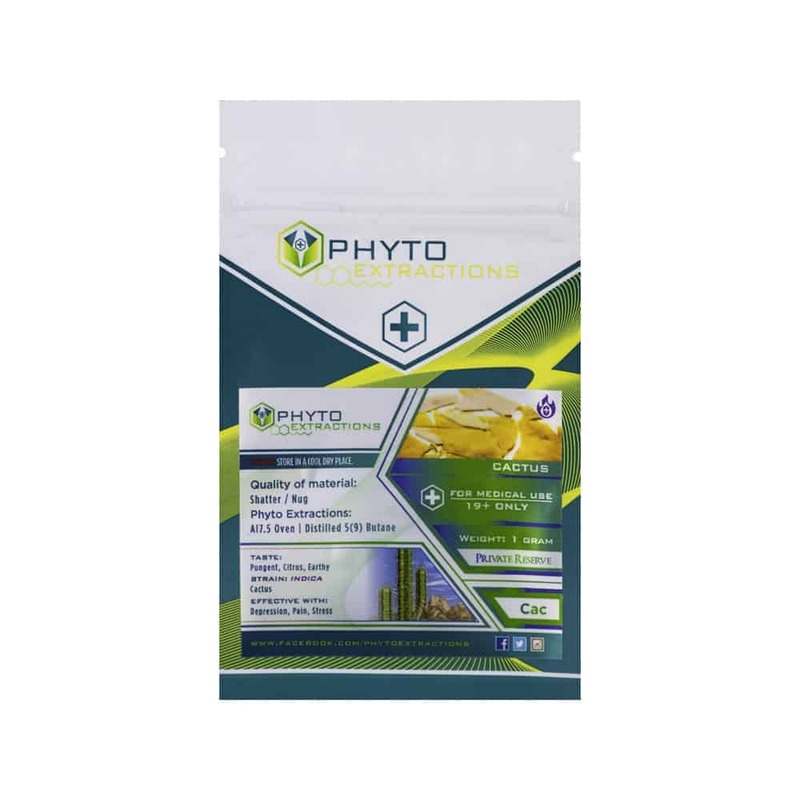 3 reviews for "Phyto – Cactus – Indica Shatter"
I really like this one! But this review goes out to Goldbuds! You guys are amazingly epic! I will be honest but I was a skeptic at first! You guys are the best in the biz! Thanks again for everything you guys do! I really do appreciate it! I honestly luv you guys! This is one of those go-to shatters. Easy to smoke, nice lift and not too much expansion in my old lungs.